Ed Baird grew up in Florida – but he won the 1995 America’s Cup as the coach of Team New Zealand, the first ever Cup win for the country. 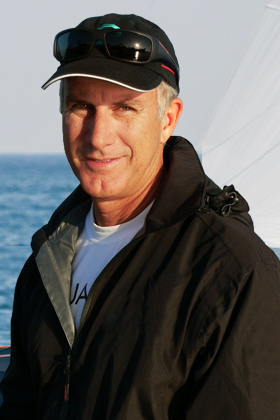 He also won the World Match Racing Championships in 1995, and was named the US’s Yachtsman of the Year. Early on in his career, he won the World Laser and World J/24 Championships in 1980 and 1983 respectively. As a member of the Alinghi team for the 2007 America's Cup, he was as the yacht's helmsman for the final series against Team New Zealand, which the syndicate eventually won 5-2. Later in 2007, he was named the International Sailing Federation's male World Sailor of the Year.